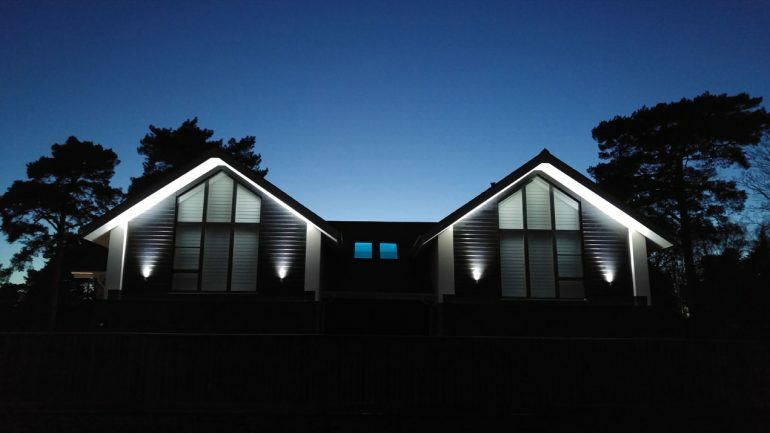 Whilst the nights are still long, investing in some outside lights, will not only give you Security, they can enhance the exterior of your house and outside space and give stunning results. To make sure your entrance is lit when you are not home, without wasting energy during the day. It’s worth wiring a daylight sensor/photocell. This is a very simple piece of equipment that ensures the light is switched off during daylight hours. Or add a PIR/motion sensor, which will turn on lights as you approach. Timers are another way to regulate lighting and you can set to whatever time you require. Wall lights can highlight architectural details and up/down lights can dramatically frame a front entrance and give a welcoming glow. Here at Led-Zip we stock a vast array of outside lights, for security and decoration. 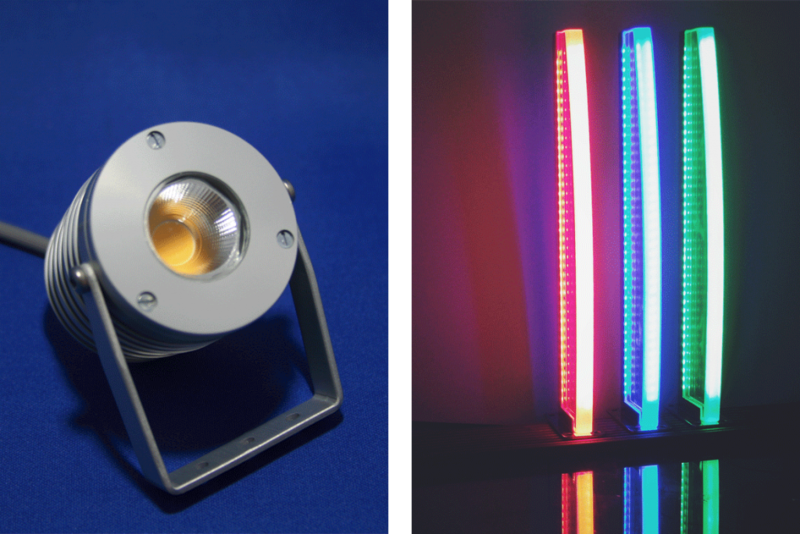 We manufacturer our own range of flood, inground spot and bollard lights, made here in Dorset. See picture below. We offer expert advice and can help design your outside space, to get the best out of it.